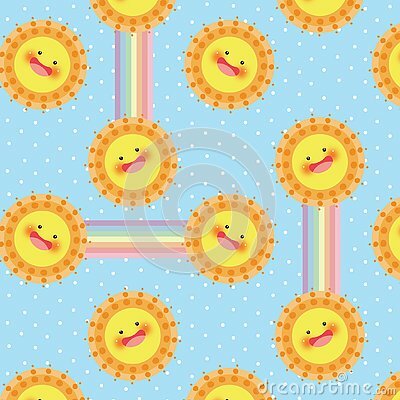 Cute, cloud, rainbow - seamless pattern. Idea for print t-shirt. Abstract background with various cartoon elements. Seamless pattern with rainbow, crown, sun, eye, leaf, moon and diamond.